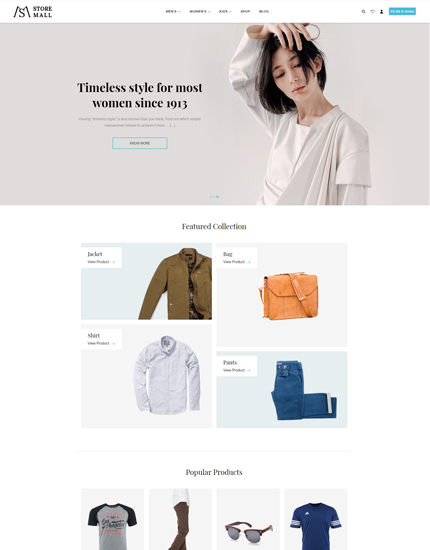 Store Mall Pro a WordPress theme offering deep integration with WooCommerce based on the popular Underscores starter theme used by Automattic for all themes on WordPress.com. Users will be able to modify every option, and tweak any setting. With ease, you can edit footer text, change color palettes, or upload hero images. 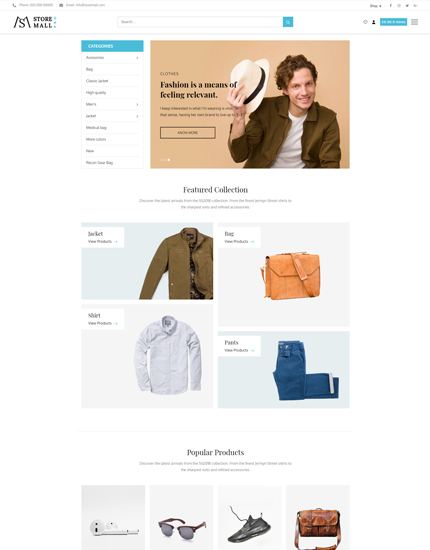 It is a WordPress theme specialized on shops and sales. It is a simple, clean and focused product. It comes with support, documentation and WooCommerce compatibility. Store Mall Pro is simplistic and provides the user with a clutter-free space to work. Most importantly, it presents all the products, services and content in a nice and elegant way, keeping the website neat, functional and straightforward. Since simple layout designs and modest features give your website flexibility and functionality, it allows the visitors to concentrate on the content offered and the value they can get from it. 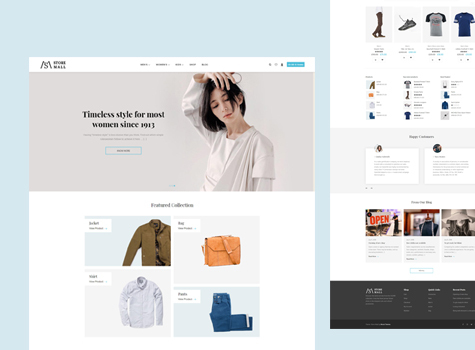 Crafted specially to create the perfect shopping platform for your users, this theme is fully responsive and mobile friendly so that your site will instantly adapt to any screen size beautifully. Not only this, but it also comes with tons of WooCommerce ready features that make this theme even more effective. In addition to that, it features stunning parallax scrolling design and background video to bring awe and wonder to the site visitors. 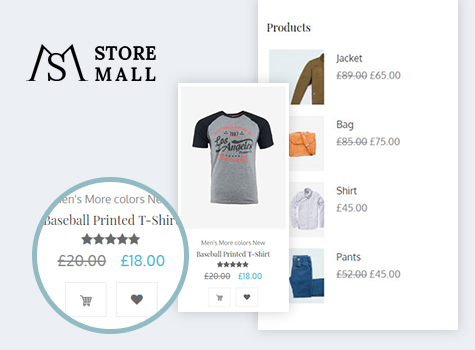 Store Mall Pro is built and maintained by professional developers so you can rest assured the integration between WooCommerce, WooCommerce extensions and Store Mall Pro is water-tight. 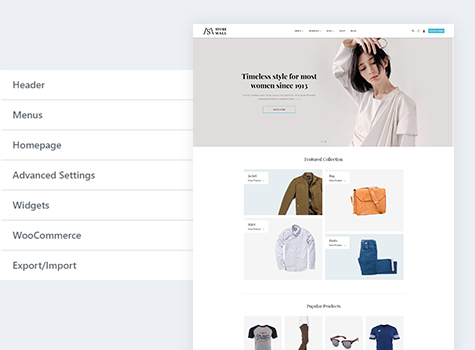 With a seamless integration to the wonderful WooCommerce plugin and easy to use WooCommerce widgets, the theme has become a great eCommerce theme. Similarly, uptime is of utmost importance to any eCommerce site. With this theme, you can say goodbye to fear of conflicts between theme and plugin during major WooCommerce updates. Store Mall Pro is a fully customizable theme allowing you to create any type of design you want. Therefore, picking your own visual identity, with endless colors and your own logos, headers or footers is easy as pie. Besides, there are several pre-built page layouts ready for use so without altering the code, you can easily understand and customize your interface and craft a unique page that matches your vision.